Hybrids are becoming more and more common on today’s roads and highways. However, there’s one hybrid you will not be seeing often, maybe ever. Porsche announced today they will begin production of the plug-in 918 Spyder hybrid on Sept. 18, 2013 (9/18), with each vehicle expected to cost a hefty $845,000. Now before you go off the deep end over the vehicle’s exorbitant sticker price, consider this. The Porsche 918 Spyder is a hybrid, but it is as far from a Toyota Prius as you could possibly imagine. The Prius’ 1.8-liter I-4 develops a minute 98 horsepower, while the 918 Spyder is powered by a high-revving V8, producing in excess of 500 horsepower. The 918’s two electric engines also produce at least 218 horsepower, for a total output of 718 bhp. Porsche estimates all of this power will enable the 918 Spyder to accelerate from 0-60 mph in a blistering 3.1 seconds, achieve a top speed in excess of 199 mph and complete a projected sub-7 min, 30 sec Nürburgring Nordschleife lap time. Yes, the 918 Spyder has lots of horsepower with supercar performance and stunning looks, and will be one of, if not the fastest street legal hybrid vehicle in existence when it arrives in the U.S. in late 2013. But here is the figure that is truly stunning. 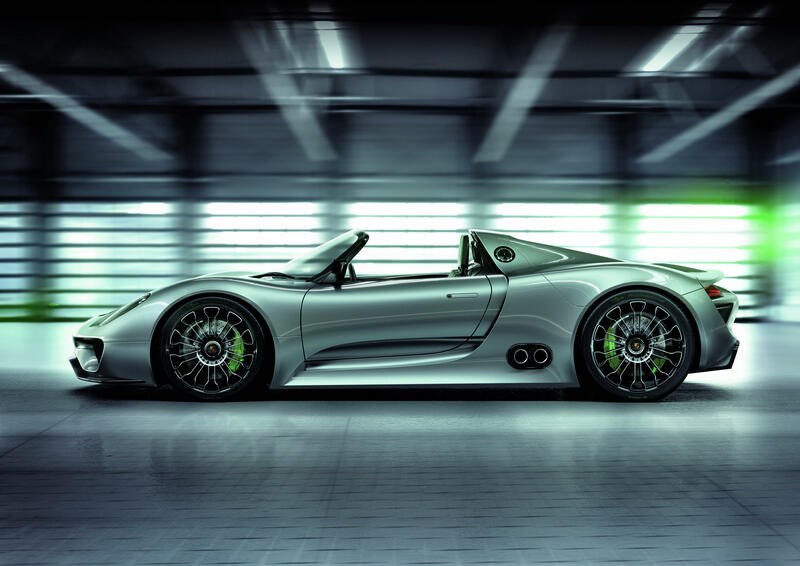 Porsche estimates the 918 Spyder will achieve a mind-blowing 94 mpg. The 918 Spyder is scheduled to make its first appearance in U.S. showrooms in late 2013. 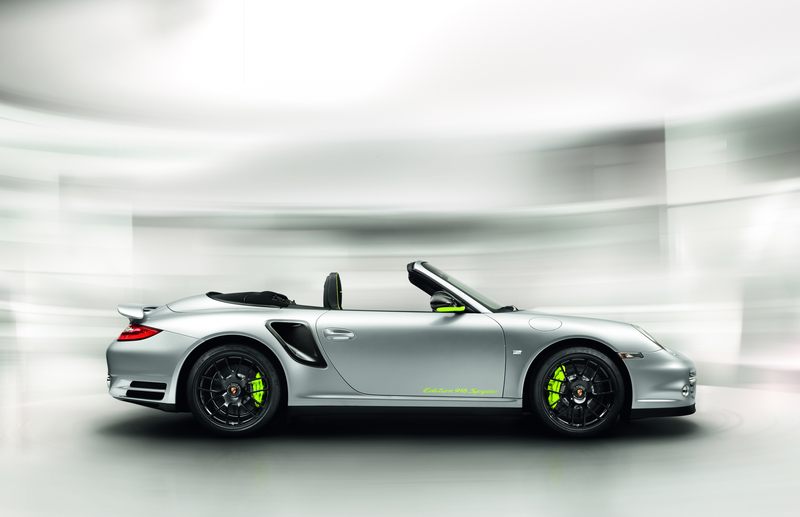 However, those lucky individuals who put in orders for the supercar have the opportunity to purchase a very exclusive special edition 911 Turbo S with the same acid-green interior and exterior accents as the 918 Spyder. It will also feature a matching production number as their 918 Spyder. The special 911 Turbo S will cost them though. Depending on whether the individual decides on a coupe or convertible the special 911 Turbo S will cost between $160,700 and $172,100. Aw, this was a really nice post. In idea I would like to put in writing like this additionally – taking time and precise effort to make a very good article… but what can I say… I procrastinate alot and not at all appear to get something done.